Red, White & Blue. Black, White & Dark Grey. "Wash them the way you would the rest of your clothes!" 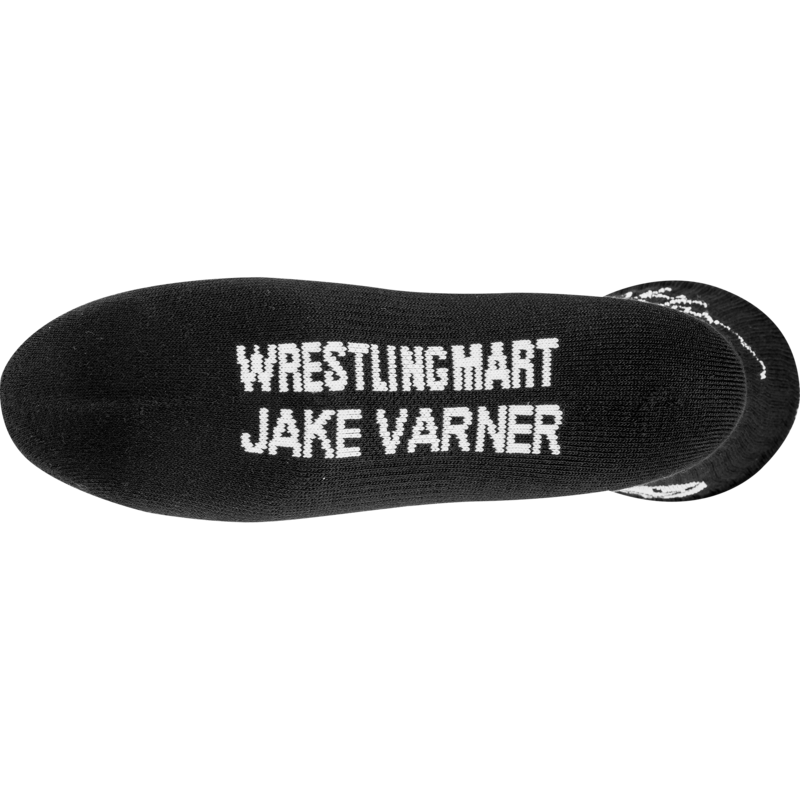 The Jake Varner Signature Wrestling Socks are made for champions. If you had a chance to watch Olympic Gold Medalist Jake Varner in action recently, then you've probably seen the secret to why his Half Nelsons work so well; it's his socks. Okay fine, he also has put in years of training and is built like a superhero. Nonetheless, since he loved our Performance Crew socks so much, we decided to make him his very own signature socks! We even made them in coordinating colors with his signature shoes, so your feet can hit the mat with the ultimate swagger. They’re made from a special polyester-spandex blend that with keep them snug and stretchy until they magically disappear in the dryer. With a wonderfully form-fitting shape, you’ll never get any uncomfortable folds or bunching while you’re running your mean half-nelsons. 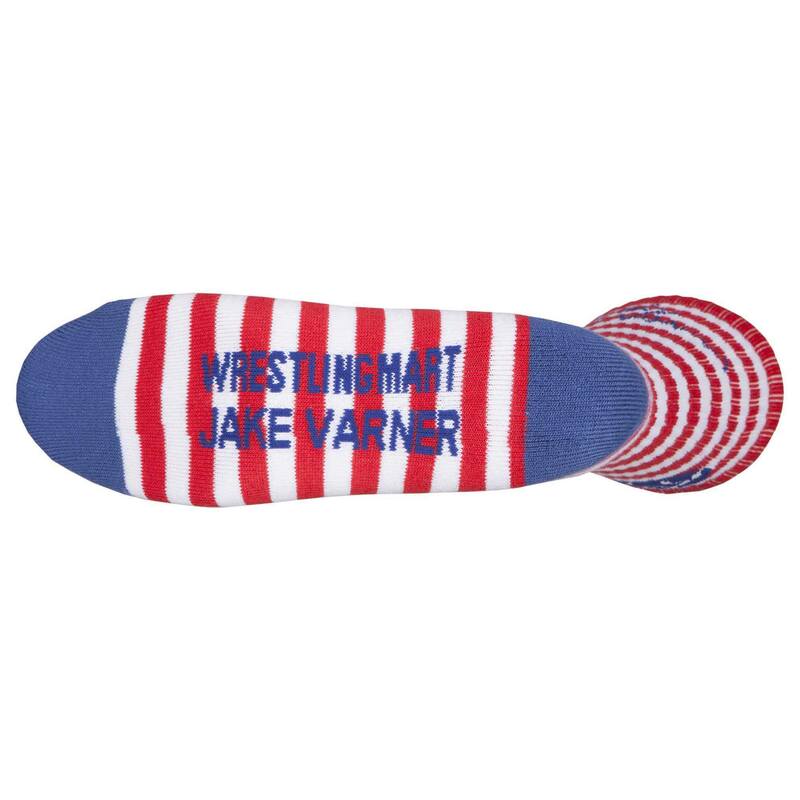 To top it off, these socks come with the Varner-inspired quote, “Just Wrestle.” Warning: Varner Signature Socks may come with unforeseen superpowers that have not yet been fully tested in the laboratory. Soft and comfortable, lasts through multiple washes and color stays vivid. These 7-9 socks fit good to my feet. They're also soft and the color matches my team colors. The socks are still in perfect condition, even after almost a year of use. 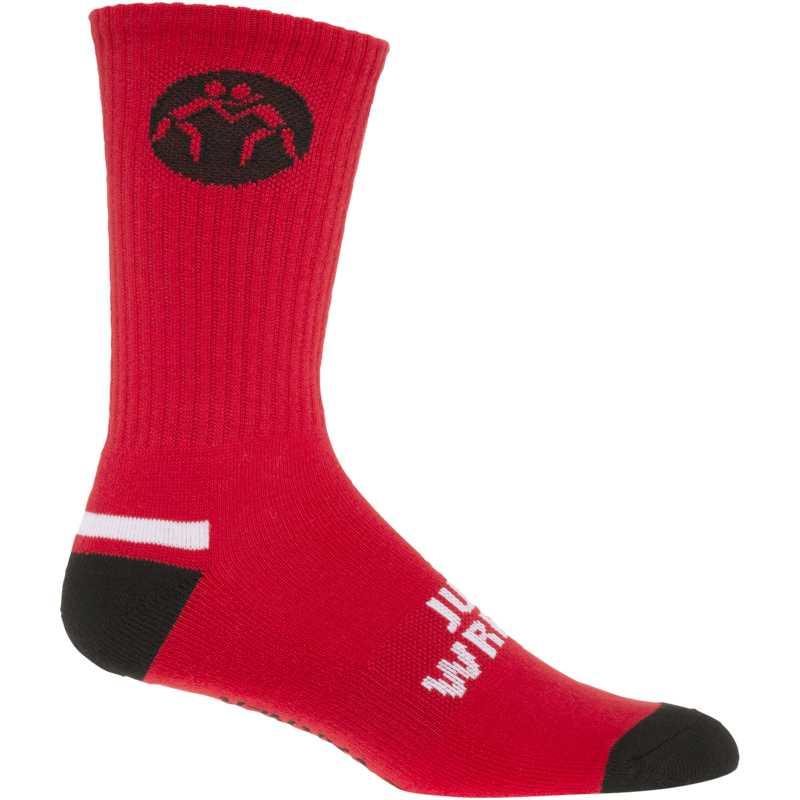 They keep your feet warm and are breathable when working out and wrestling in them. These socks are the best socks ever. I wear them everyday and for everything. They are so comfortable and they fit really well. I also love the look of them. The variety of colors and sayings are awesome too. I have over 5 pairs at home. These socks are awesome. While wearing the socks it is very comfortable and under lots of stress it would stay together. 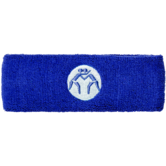 The product is worth the price because the socks are still in clean and good condition. I wear a size 12, always worry about socks when I compete/coach. Would the 10-14 fit right without too much material? Please let me know. 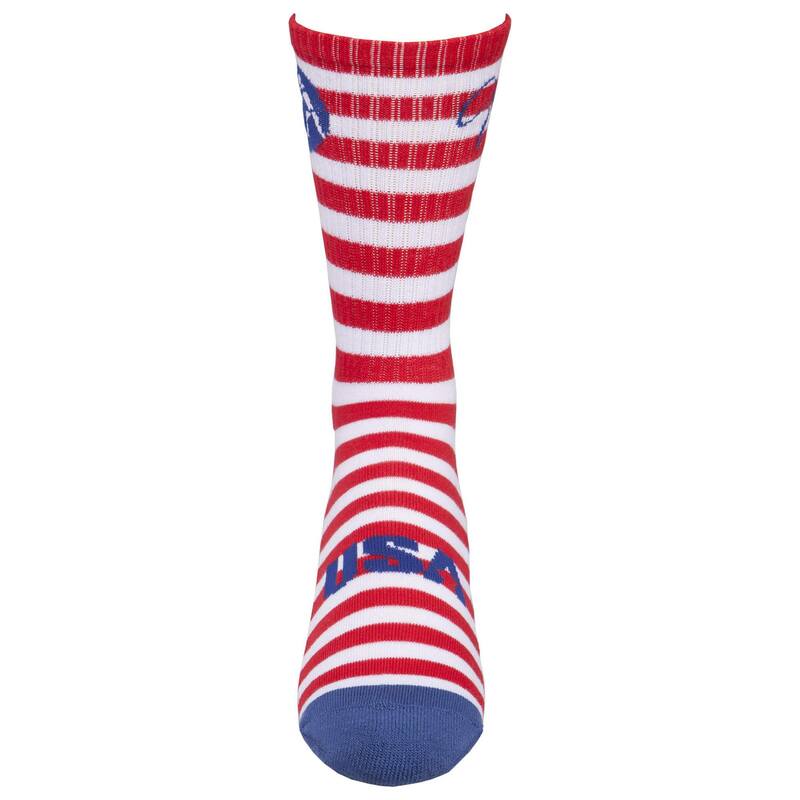 If you wear anything bigger than a size 10 the 10-14 socks would fit best. Hi I'm looking for socks I can wear with a wresting shoe. I had an injury had a partial foot amputation and wear a youth exlarge on left foot and a womens large size 9.5 shoe on the right. I just buy a pair in each size I couldn't find a size chart on your site. On the website it will give you the option to select size 3-6,7-9 or 10-14. The only colors that we have 3-6 are in the USA Varners, Black/White, White/black and pink. It will be $5 per pair. If your in California then it would be $5 plus tax. 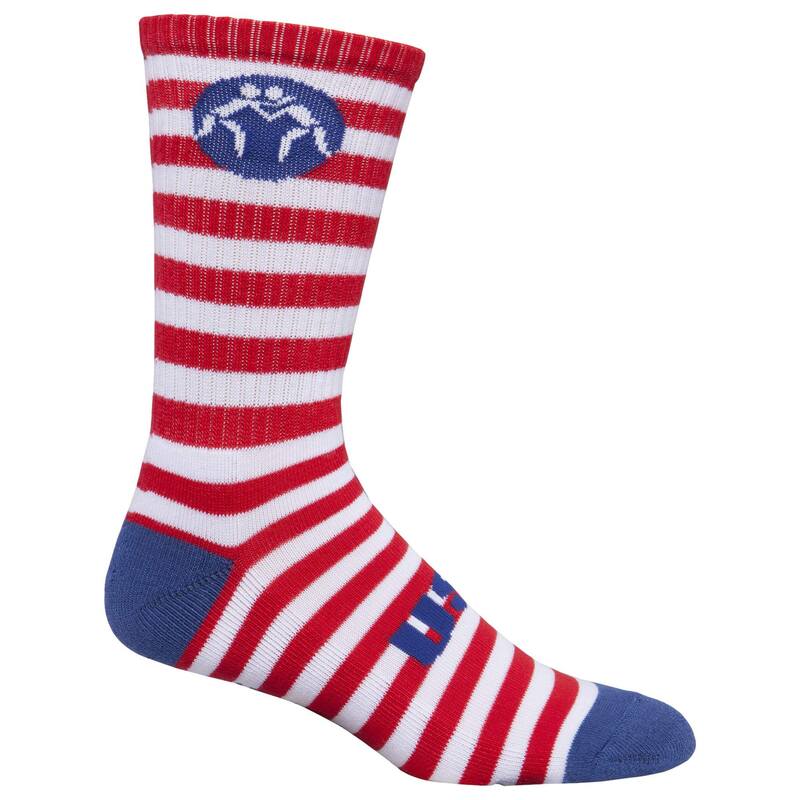 My son is 14 and still growing - we just purchased size 9 wrestling shoes - should I order his socks in size 10-14? I would recommend to go with the 10-14 size socks since he's still growing.